Boaters will need to take online courses on various topics in order to be granted a Vessel Operator Card. The license will be required of any one at the helm beginning in 2018. New law requiring all boaters to effectively be licensed will be enforced starting in 2018. STATEWIDE — Believe it or not 2018 is right around the corner, about 17 months away. When 2018 arrives California’s boaters will face one significant change: Anyone at the helm of a boat must carry a Vessel Operator Card. The card functions similar to a driver’s license for vehicles. 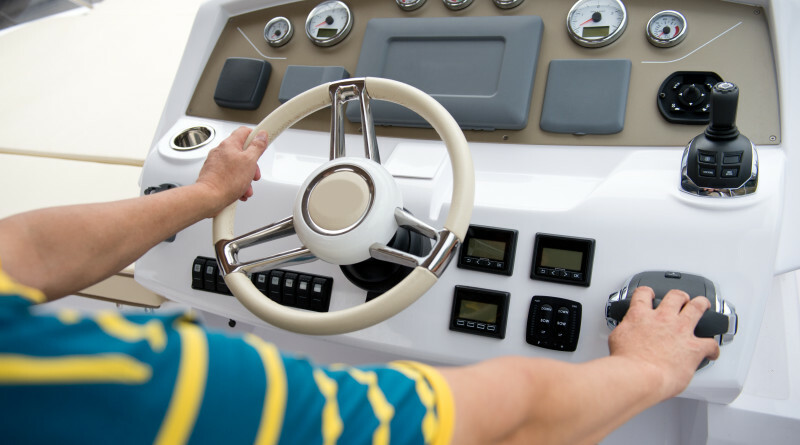 Boaters would take an online course covering various topics such as navigation and safety. An online exam follows at the end of the course. If the person passes he or she would be granted a Vessel Operator Card to demonstrate they have completed the state’s basic education requirements to operate a boat. Technically the law requiring Vessel Operator Cards went into effect in 2015 but enforcement starts on Jan. 1, 2018. The Vessel Operator Card requirement will be implemented in eight phases. Phase 1 kicks in on Jan. 1, 2018 and covers boat operators who are 20 years old and younger. The population required to obtain a card would expand each Jan. 1 through 2025, when anyone operating a vessel, regardless of age, must successfully complete the mandated education process (see sidebar). A mandated Vessel Operator Card became law in September 2014, when Senate Bill 941 was approved by the legislature and signed by Gov. Jerry Brown. California’s Division of Boating and Waterways (Cal Boating), which will be overseeing the Vessel Operator Card system, has not yet approved specific coursework for the law’s education element. There is no guarantee Cal Boating will honor any coursework completed before the Jan. 1, 2018 rollout. Details are also still raw on the law enforcement side, but Officer James Dreher of the San Diego Harbor Police says officers and deputies would enforce Vessel Operator Cards no different than driver’s licenses for automobile operators. Dreher said the ultimate mission is to keep boaters educated and safe. Officers in San Diego would make every effort to keep boaters informed, he said. Dreher is also hopeful news outlets up and down California’s coast will actively report on the Vessel Operator Card requirement as Jan. 1, 2018 nears and help raise awareness. “This whole program revolves around boating safety and preventing accidents from happening,” said Dreher. “We at [Harbor Police] would much rather educate the boater and insure they are being safe and understand the rules and regulations for being in the maritime environment. “Once the advertisements begin and the program starts I would assume that news stations would also broadcast the info. I do believe that it will not take long before everyone has heard of it and will begin preparing for when their age group starts the program. As always there will be some that are unaware and that may be a situation for the above mentioned warning in lieu of a cite. Every situation is different,” he continued. State officials said boaters would be able to take the requisite coursework online, in a physical classroom or through home study once Cal Boating approves the education element. More information is available at dbw.parks.ca.gov/CVOC. The exception to the VOC planned for anyone operating a rental vessel is absolutely ridiculous and misses the intent of the law entirely. Spend a summer Sunday navigating Newport Beach or Marina Del Rey harbors and you will know why. Using common sense logic, it seems that for safety here they shouldn’t have an exception for “Vessel operation in an organized regatta, vessel race, or water ski race”! These are just accidents waiting to happen in racing situations! it would be nice to see some pictures of the Kettenburg 38 restored. The people that need the education most are exempt (rental boats). This is just another way to” TAX THE RICH” and hire more state employees. We need this just like we need more DEMOCRATS in office. Those of you that, moan and groan about this program, should sit on the back of my boat with me on any given weekend and see some of the stupid things that boaters do on the water. I am a retired police officer and have taken many boating courses. I am at present a Division Commander in the US Coast Guard Auxiliary and I firmly believe that everyone that wants to operate a boat should go through a Boating Safety Course given either by the US Coast Guard Auxiliary or the US Power Squadron in a classroom not just take a on-line course. No one should be exempt from taking the course and getting vessel operator’s card.